This strong, versatile stool is perfect for single purpose rooms such as Science labs or Art studios. 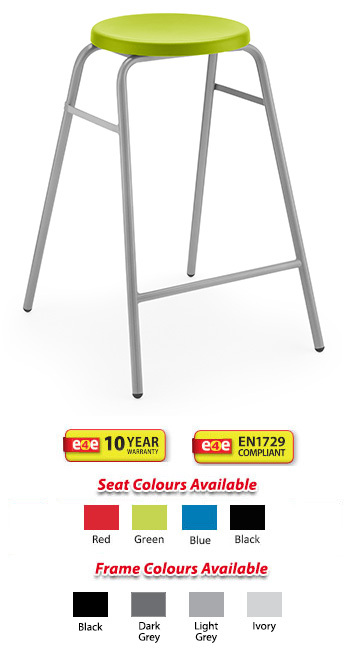 It provides integral lumbar support and features a well positioned footrest for added comfort, the robust steel frame makes it one of the strongest stools available. Choose from a range of heights to suit your needs, mix and match your choice of shell and frame colour to personalise your new stools, and add optional Tilt and Glide Feet for high traffic rooms, or Steel Feet where highly abrasive non-slip flooring is used. 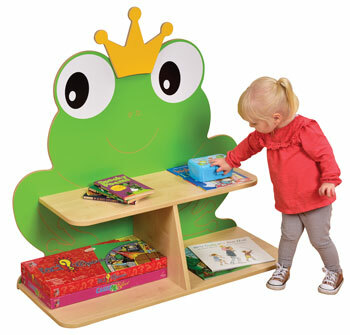 Fully complies with all elements of BS/EN 1729 Parts 1 and 2 - the new standard for classroom furniture. The WSM stool is one of the best in the market. With its unique shell shape which provides integral lumbar support, its no wonder this is the UK's best stool. This skid base version features a non-tilt frame, which protects flooring in high wear situations. Frame is Duraform speckled light grey as standard. The Series E polypropylene range of chairs and stools uses the same principles as the classic polypropylene chair; a low cost, mass production piece of furniture. 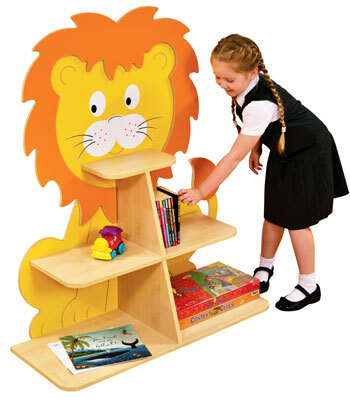 It shows extreme strength and durability making it well built for educational establishments. The Series-E polystool is offered with a choice of flat tops or chair shells. All models are stacking and have passed rigorous performance tests for strength and suitability. 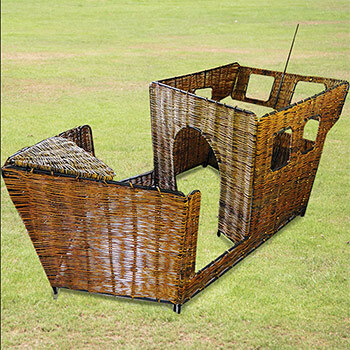 The shells are also avaliable with fire retardant properties. The overall minimum quantity is 10 chairs. You can mix and match colours and sizes to reach the overall minimum quantity of 10 chairs. Please call for smaller quantities. 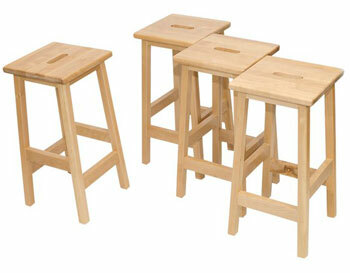 Developed from the original polypropylene version these wooden top stools offer an attractive and durable alternative. Frames feature high quality steel and leatherite paint finish for the ultimate durability. Tops are fitted with metal inserts to ensure long life and are available in beech veneer, red, blue, green, yellow and clear lacquer and also incorporate a hand hole for easy carrying. The overall minimum quantity is 8 chairs. You can mix and match colours and sizes to reach the overall minimum quantity of 8 chairs. Please call for smaller quantities. The classic Flat top stool has a simple stacking design and is extremely durable giving many years of service in the most testing environments. Frames feature high quality steel and leatherite paint finish for the ultimate durability. Shells are flame retardant as standard making them suitable for usage in all environments including labs. The overall minimum quantity is 7 chairs. 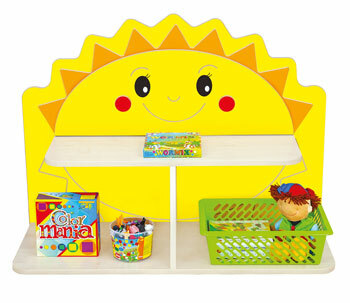 You can mix and match colours and sizes to reach the overall minimum quantity of 7 chairs. Please call for smaller quantities. The Hille Round top stool is tough and durable whilst also being very cost efficient. 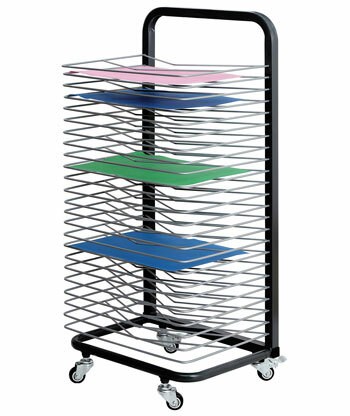 Available in a range of 4 heights to suit various working surface heights and a range of colours to suit your room. A modern design twist on a traditional stool that will bring any classroom bang up to date. 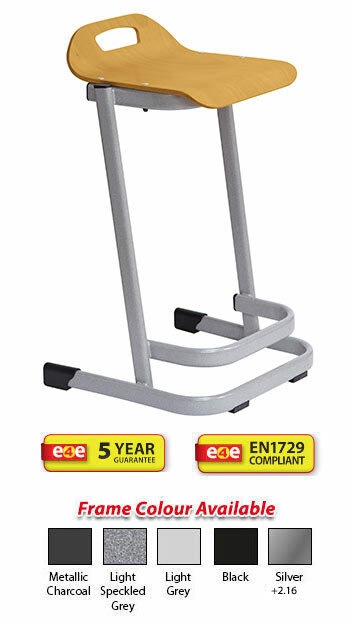 With durable poly seat, the strong epoxy coated skid base frame has a slightly wider front making it difficult to tilt and is supplied with wearable feet. 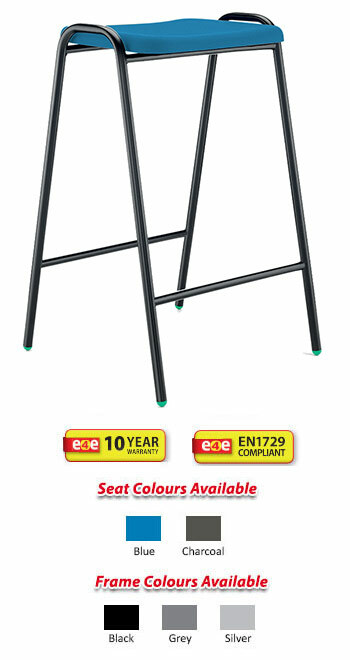 Fully stackable to save on space this stool has been rigorously tested for strength and durability. The stool can be supplied with an optional bag hook. 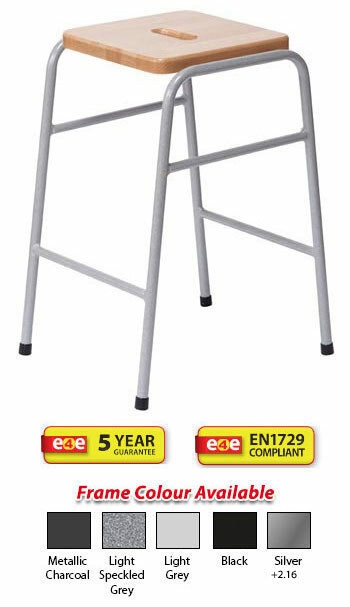 This stool complies with EN1729 and includes a 10 year warranty. Manufactured in the U.K.
Our traditional laboratory stools offer that bit extra, with chunky seats in an attractive wood finish of 25mm polished MDF, and a clever stacking design which keeps the seats apart to avoid scratching. These stools come in a range of five sizes to suit any environment, and come with your choice of frame colour to personalise your stools. There is also a hand hole feature supplied as standard to make handling and stacking more convenient, and the option of steel feet for use with highly abrasive non-slip flooring. 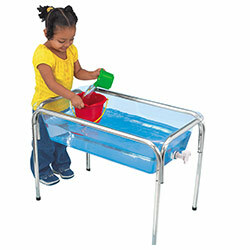  This polypropylene stool is designed with a flat seat which allows stacking to be very easy. 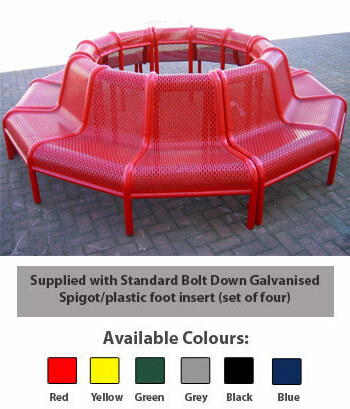  Available in five sizes along with six seat shell colours (yellow, red, blue, green or charcoal) and six frame colour options (light grey, chrome silver, textured silver, dark grey, black or charcoal). 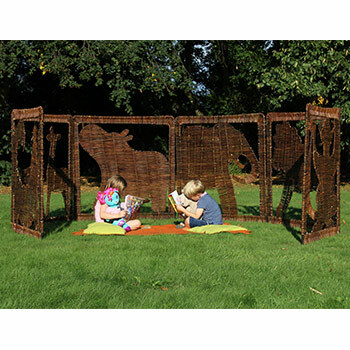  The 22mm diameter four legged steel frames are coated in an Expoy Powder coat finish to give maximum life.  Includes a 5 year warranty.  Free delivery on everything. 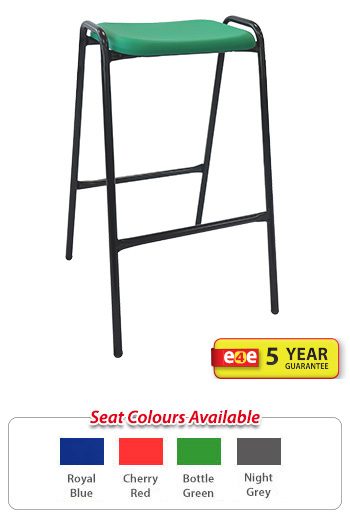  The NP rectangular stacking stool remains a firm favourite in science laboratories and arts and craft classroms due to its high stacking ability and durability.  Stacks a maximum of eight stools high.  Footrest comes as standard.  Seat shell available in four colours: royal blue, cherry red, bottle green and night grey.  Please note: Minimum order quantity is 12 stools.  Black steel 19mm frame.  Includes a 5 year guarantee.  Please allow 2-3 weeks for delivery.  The CLS cantilever stool is popular in science laboratories and arts and crafts environments.  Smart grey steel 25mm frame.  610 x 540 x 460mm. 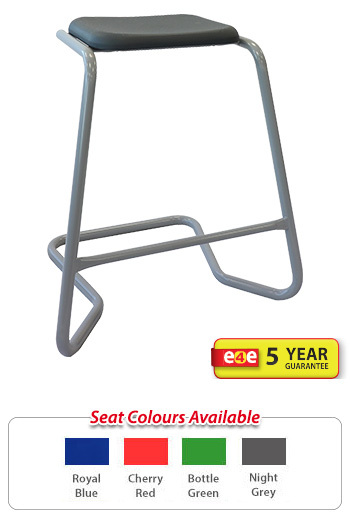 For a craft/laboratory environment, why not try our stylish new 35 Series stool. The Polished wooden shell is finished in natural beech, and the robust cantilever frame features a stylish oval tube finish. Frame is Duraform speckled light grey as standard. Seat is Maple as standard. Coloured seats are available but feature minimum quantity requirements (please see drop down box below for details). If your looking for the ultimate lab stool, look no further. The Titan Stools are now specified for major projects world wide because of their unique frame style that protects all laboratory flooring or matting. 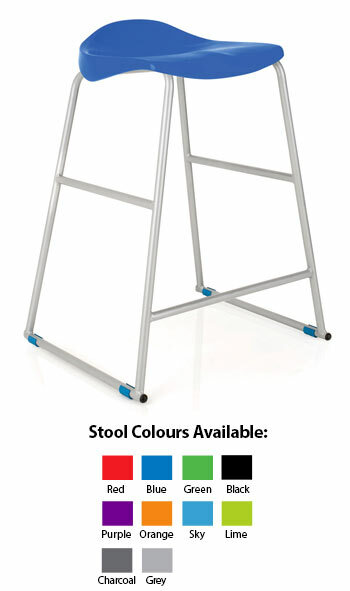 The Titan Stool stacks 6 high, and is available with 8 seat colours and a stylish super strong silver frame. 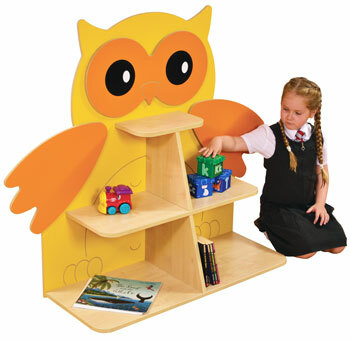 In our opinion the Titan Stool range is probably the finest classroom stools in the world. Minimum quantity is 12 chairs. You can combine different chair colours and sizes to reach minimum quantity requirements. Please allow 2-4 weeks for delivery. 10 year guarantee. If your looking for the ultimate lab stools, look no further. 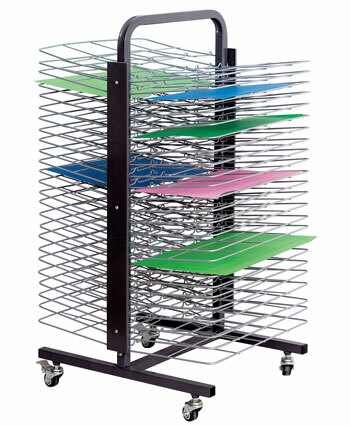 The Titan High Chairs are now specified for major projects world wide because of their unique frame style that protects all laboratory flooring or matting. Our Titan High Chairs features the full Titan ergonomic shell offering full back support to ensure that pupils are sitting with perfect posture. In our opinion the Titan High Chair range is probably the finest classroom high chairs in the world. 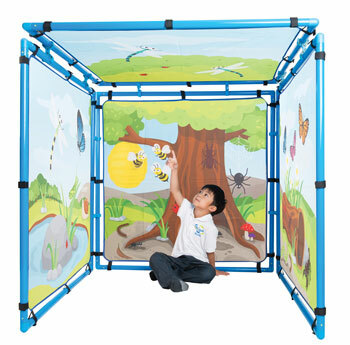 Perfect for science labs, art studios or music rooms. Available in two shell (seat) sizes. The overall minimum quantity is 9 chairs. You can mix and match colours and sizes to reach the overall minimum quantity of 9 chairs. Call for smaller quantities. The overall minimum quantity is 10 chairs. You can mix and match colours and sizes to reach the overall minimum quantity of 10 chairs. Call 01257 426351 for smaller quantities. The higher version of the classic BS Chair comes with a strong steel foot-rest for added comfort and support which also strengthens the frame. A highly versatile range, the BS chair can be used anywhere. 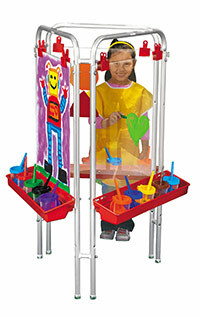 The high chair is perfect for science and art classrooms.  The new Geo Stool forms part of the new Geo range, offering a modern look to any environment. 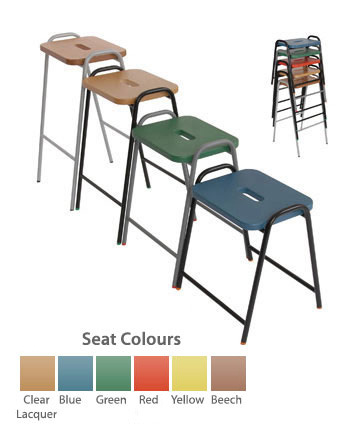  Available in four heights along with ten seat shell colours (yellow, lime, ocean, sky, flame, mulberry, white, red, slate or onyx) and six frame colour options (light grey, chrome silver, textured silver, dark grey, black or charcoal). Minimum quantity is 12 stools. 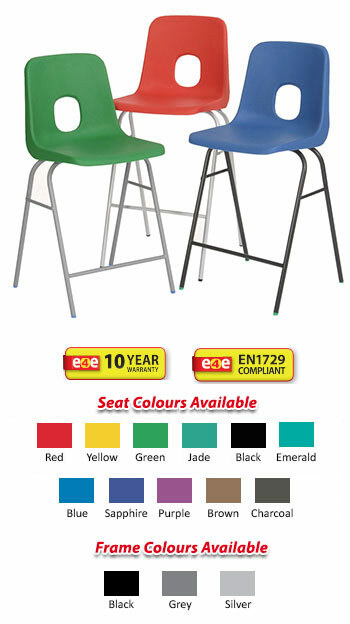 You can combine different stool colours and sizes to reach minimum quantity requirements.  Please Note: Photographic fabric scans are displayed as a guide and colour variations may occur. 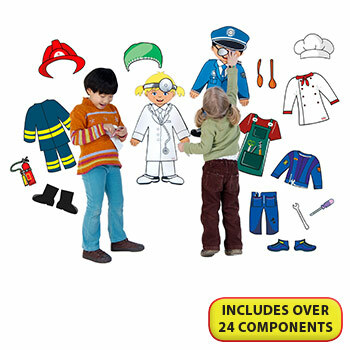 We advise you request actual fabric samples before ordering. Call us to request a sample booklet to avoid disappointment. 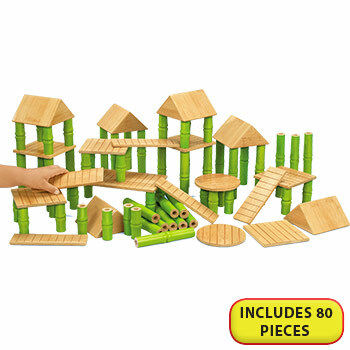  Features a waterfall front.  Can be optionally upholstered with a seat pad for extra comfort.  This stool has passed EN1729 parts 1 and 2 for strength and ergonomics. The SE Stool uses the same ergonomic seat from the SE chair which in turn matches in with the SE chairs to offer a co-ordinated environment. 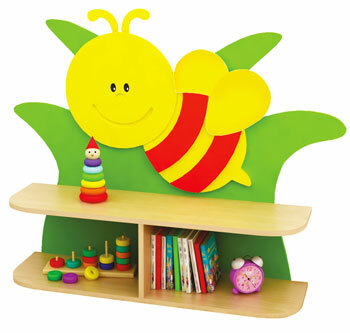 There is a handy loop at the rear of the stool to make moving them around easier. The stool has a stable skidbase design meaning that there are no wearable feet.  Stacks up to 8 high. The SE Stool uses the same ergonomic seat from the SE chair which in turn matches in with the SE chairs to offer a co-ordinated environment. The stool has a stable skidbase design meaning that there are no wearable feet. Set of 4 solid beech practical/laboratory stools suitable for use in Science Labs, Artrooms, Studios and any rooms which require group or practical work. These chairs are designed to match the solid beech laboratory table below. 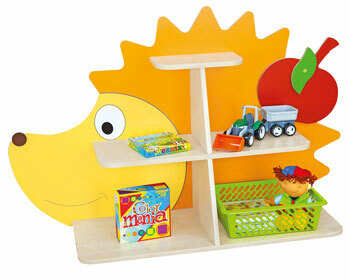 Supplied fully assembled, with free delivery.